Frustrated Plein Aire painter’s evening playtime..take a few leaves that fell two days ago and mix with palette and this is what you get…don’t seem to get outside anymore..always stuck in the studio working and..tonight…answering Trick or Treaters! Did you paint those leaves? definitely..otherwise i would still be frustrated!! 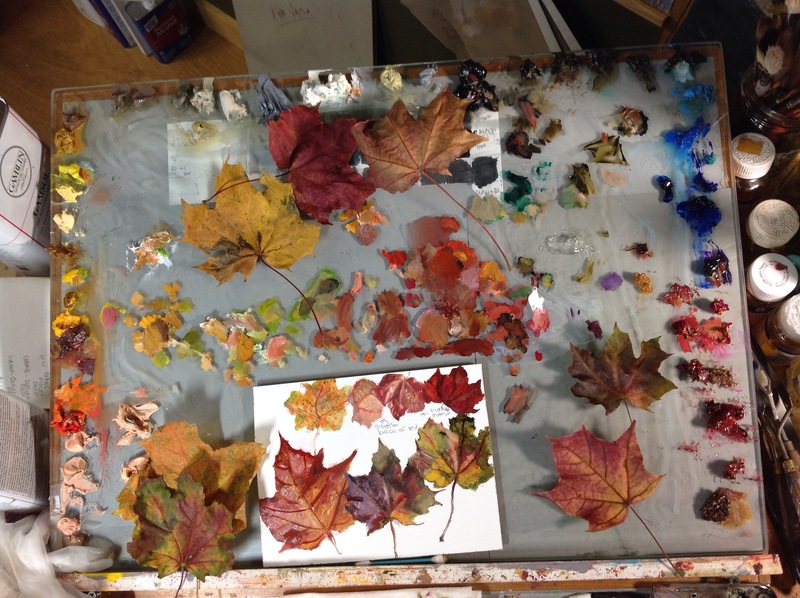 and, also..i can now use this little leaf painting for color reference if i have to paint from photographs of Fall trees.